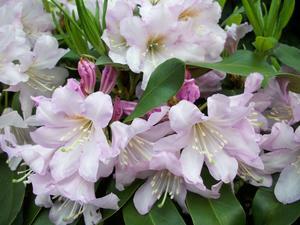 Glossy, long rich green foliage and clear pink to light violet flowers. The Inkarho series come from German breeding and is PH tolerant with superior root structure. These features give them greater stress tolerance and the ability to be planted in a wider range of soil types.